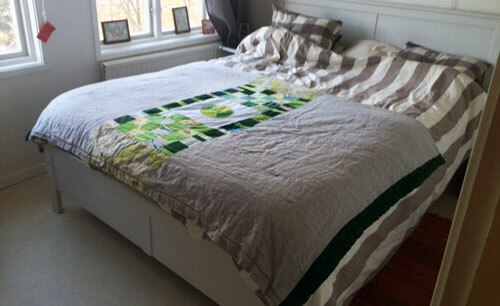 A double-sided quilt to a woman who loves green. Application techniques in a variety of materials; silk, linen, synthetics and cotton. 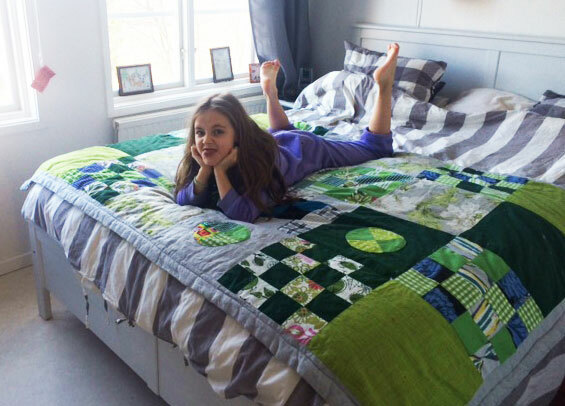 Above: Daughter Zelie on her parent’s bed. She loves the quilt but not to be photographed. 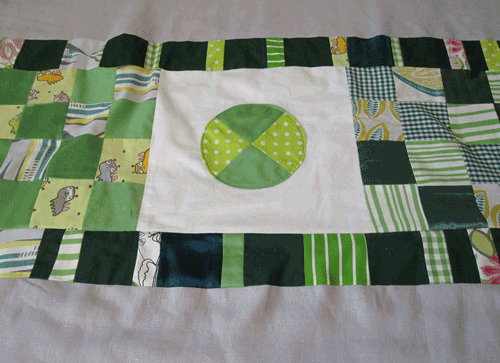 Below: The quilt is double-sided and looks like this on the other side.